In today’s extensively competitive environment, it is essential for companies to be updated on all their internal and external activities. Working in a disconnected environment that doesn’t allow stakeholders to have access to the latest and real-time information, can put the business at a risk. In a market environment where organizations need to be on their toes and quickly adapt to new strategies and implement actions immediately, it is imperative that all stakeholders in the business remain continually up to date in terms of what is happening in the business internally as well as externally. The business needs to understand the pulse of the environment and be proactive rather than reactive. Supply chain forms a very crucial part of the business infrastructure, connecting various important function and forming a bridge, if you must, one that connects the company to the customers. From activities encompassing procurement to product delivery, the supply chain forms a network that enables the business to procure and process products and finally have them delivered to their customers. The supply chain thus needs to be technologically very advanced enabling smooth flow of information from one end to the other. The traditional technologies do not seem to carry out the process of connecting all the stakeholders. For example, through ERP, the business may be able to create a system that allows all internal functions to collaborate well, but not necessarily, external suppliers and partners. These external touch-points play a critical role and hence they need to be kept in the loop. The challenge is that they may not have the same IT capacity as the business, making it difficult for seamless collaboration and communication. To solve the issue of connectedness, cloud technologies are coming to the fore, that allow business, much-needed visibility and transparency across the entire supply chain network. As mentioned above, collaboration is of utmost importance. If different stakeholders use disparate systems, it comes very difficult to get access to useful information in real time. With a cloud platform in place, businesses can have information flow freely from one end to the other. It brings about a significant improvement in communications between external stakeholders such as wholesalers and suppliers, and internal stakeholders such as managers and auditors. Now, everyone can work in sync and most importantly have accurate information, that too in real time. From a security perspective, cloud platforms provide a high level of security for all the organization’s data. When the central database is located offshore, business need not worry about physical harm to infrastructure. There is tight security and cloud platform ensures that the data is protected against cyber attacks and unwanted encroachment. Cost is an important factor to consider. Having different sets of IT infrastructure installed in a business, that has a number of touchpoints, can prove to be immensely costly. What cloud does, is that it replaces the need for cumbersome IT infrastructure and now business can work with a single platform that incorporates all their data needs and processes and send out information in real time. Hence, the cost is drastically reduced as now there is no need to maintain, upgrade, and manage disconnected IT systems, spread across different geographical locations. With traditional IT storage infrastructure, data is stored in different formats. This means, there is a lot of time and money is wasted on converting different formats into one single format spread across a number of platforms. With the cloud, data stored is no longer stored on multiple platforms and applications. Everything is now available as a consolidated list from one single source. This saves business huge amounts of cost and effort in converting, processing, and managing data. There is now a single data set for everyone to view and take action on. The level of communication is thus enhanced and there are huge cost savings and increase in efficiency of operations. Connectedness is the keyword that will drive the market and it is essential that businesses leverage the most advanced technologies that enhance communication and connectedness. 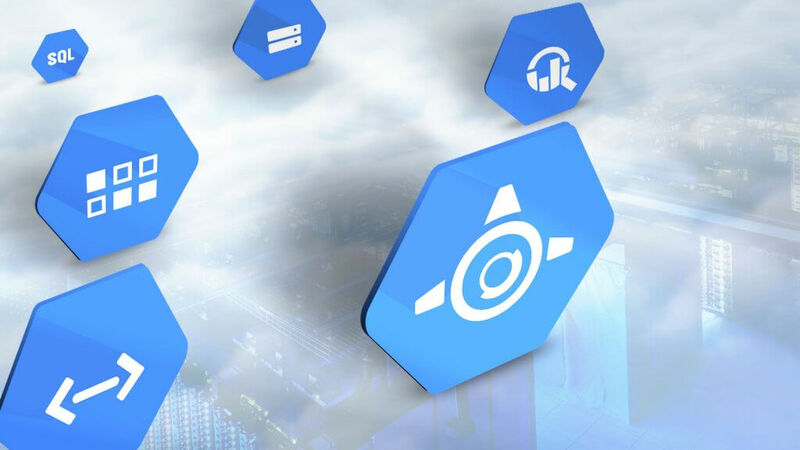 Cloud is built on this very premise and offers a number of benefits, such as easiness of access, visibility, and cost savings and of course, overall improvement of efficiency. 3 Reasons That Purchasing Fitness Technology Is Important! How Online Food Menus Uplift Restaurants Standards?